I have made crostatas before but this chocolate crostata is one of my favorites. I love the bananas and chocolate together. I am extremely happy to be posting these little crostata creations. You see? Bob Red Mill just sent me a very generous package with tons of flours and mixes to experiment with and the gluten free pie crust mix was the one that jumped at me first. I actually baked two different things with the first bag. 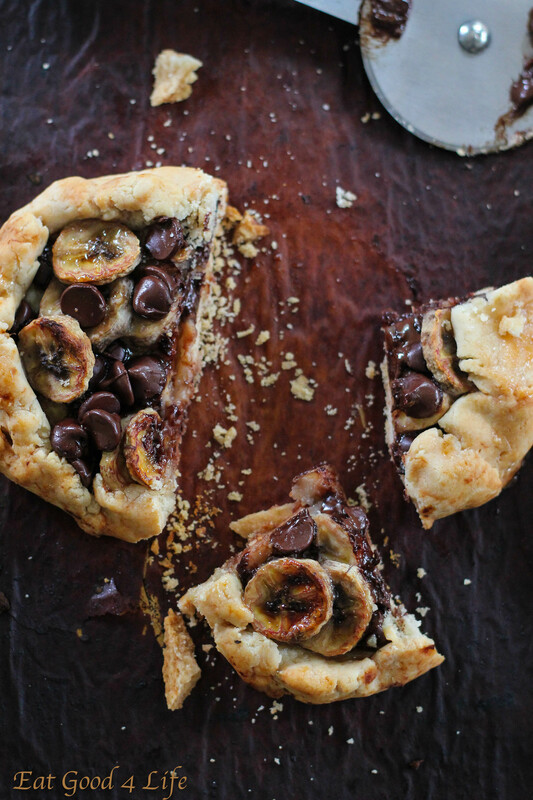 A pear pie and these banana and dark chocolate crostatas. This recipe is coming first, because in my opinion, I enjoyed the combination of the flavors a lot better than the pear pie. They were both good but this one was a tad better. I don’t even know if the gluten free pie crust mix is yet for sale at grocery stories. If it is not I am sure it will be soon. Either way I am optimistic that you could even make your own gluten free mix. I actually want to make my own but will see. You can add any other fruit combo of your choice for these crostatas. I know I always have bananas and dark chocolate on hand so this is what I used. I think a berry version will also be good. Now for the pie crust I got a bit experimental and tried to make it a bit healthier by adding a mixture of butter, olive oil and milk. I think it didn’t work too well because my crust was a bit on the hard side. I am thinking that you should just stick to what the package says, which is to add just butter! I have another gluten free pie crust package so I think I will be doing another different type of crostata. I think an apple caramel one will be exquisite, so stay tuned for that. I used a gluten free mix for the pie crust but you don’t have to. If you are not on a gluten free diet any other type of pie crust will work for this crostata recipe. I drizzled a little bit of maple syrup after the crostata cooled down to get the crostatas a bit shinny for food styling purposes but you don’t have to at all. 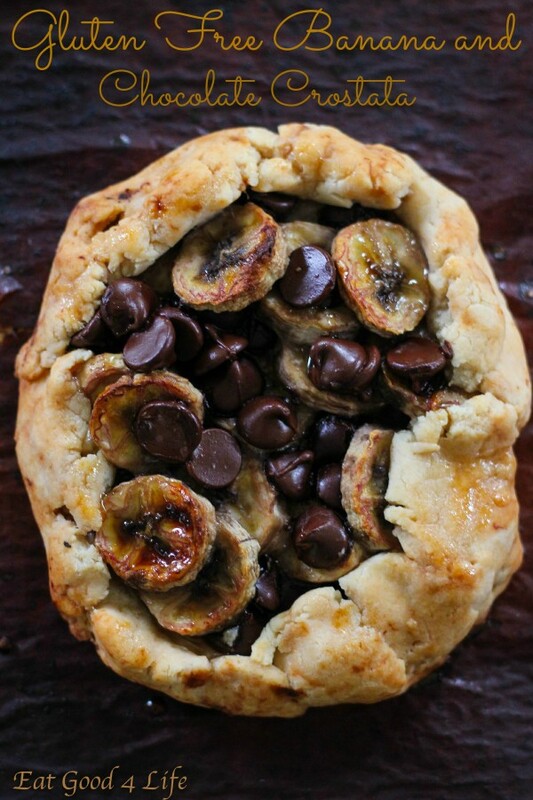 The combination of the dark chocolate and the bananas was out of this world. I hope you get to make this one soon. You and everyone around you will love you for it…trust me on that. I wish I quadrupled the batch actually! Preheat oven to 375 F. Line two cookie sheets with unbleached parchment paper and set aside. Prepare the crust according to package instructions. You can divide the pie dough in two to obtain 2 large crostatas or into 4 to obtain 4 medium crostatas. With a rolling pin, roll each dough piece into a disk shape and refrigerate for about 15-20 minutes. 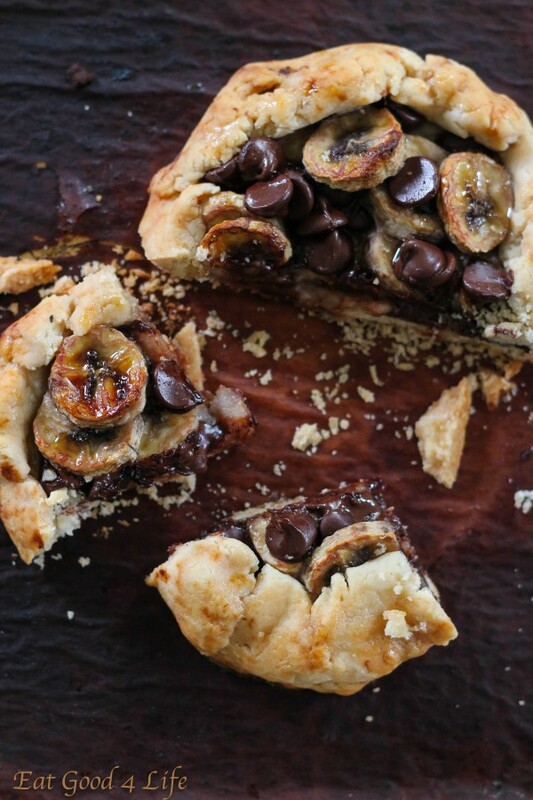 Fill each crostata with the sliced bananas followed by the dark chocolate chips. Make sure you leave about one inch from the rim of the crostata as you will have to fold it in to encase the bananas and the chocolate. Place the crostatas on the prepared bake pan and bake for about 30 minutes or until the pie dough starts browning around the edges. Depending how small or how big your crostatas are you will need more or less time. When the crostatas are cooled down and ready to be served you can brush a little bit of maple syrup over the bananas and dough to obtain a pretty shine. Wow- looks terrific! I’ll bet it’s very rich, too. Aquest pastís em recorda un dels capítols de Callejeros-viajeros (Navidad en NY)! És molt típic, oi? jejejeje! 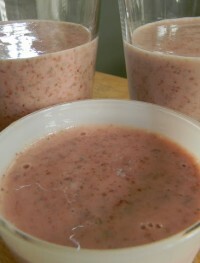 Té una pinta deliciosa. Are your decorations made with a 1M tip? Your cake looks beautiful. I actually would not be able to tell you, I only have about two tips and use them for everything. I am not much of a cookie or cake decorator :-( I know I use a 16 in decorator bag maybe that helps. you should be fine. Often time I use canola oil rather than olive oil. The only difference is that olive oil has healthier/better fat content than canola oil does but never the less canola oil is a great substitute. The flavor is pretty much the same when it comes to baking goods, and thanks for the kind comments!! I love this! 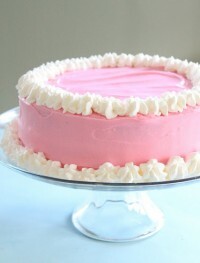 Chocolate AND pink frosting! Can’t wait to make it! Canada doesn’t have heavy whipping cream, and regular whipping cream doesn’t really whip for me. I was wondering If I can substitue it with dream whip? Let me know how the cake turns out if you try it. I was hoping to make this, but my husband and I don’t drink/eat coffee or things with coffee. Any ideas for a substitution on that? Thanks! It looks amazing! you can use warm water instead. WoW! that was superb..so tempting. Hi Miryam! I made this cake last night and it was delicious! My cake didn’t rise as much as the ones shown in the images though (around half the height) :\ I thought it was because of old baking powder/soda but I bought new ones and the results were the same. Do you have any thoughts on what could’ve cause this? Umm…I am not quite sure. I haven’t made this cake in forever but maybe it you want it to be a bit higher I would suggest a smaller cake pan, perhaps a 8 inch instead of a 9 inch. Since you already tried the baking powder/baking soda issue and that doesn’t seem to be the problem I would suggest using the smaller pan. I hope this helps a little bit.